3,000 Clubcard points with free loft insulation! 3,000 Clubcard points with free loft or cavity wall insulation! The Government makes a pot of money available each year to fund free cavity wall or loft insulation, as parts of its energy efficiency targets. Because installers are paid, presumably generously, by the Government for doing the work, you have the slightly odd position of companies bribing you to let them come and insulate your loft for free! 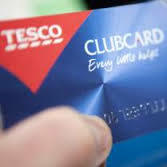 Tesco Clubcard has now jumped on this bandwagon. See http://www.moneysavingexpert.com/utilities/free-cavity-loft-insulation for details and the links – this seems to be an exclusive deal for moneysavingexpert.com readers. 3,000 Clubcard points is 7,400 Avios or 7,500 Virgin Flying Club miles. You could potentially get 50 per cent more by waiting for another conversion bonus. To take part, you will need to be a homeowner – flats and rented houses won’t qualify. Further details via the link. Thinking much the same. My loft is kinda small, and not well insulated – it really would be worth pulling it out and have Tesco’s peeps come and do the job properly if they’re really prepared to send me 2.5% of the way to SFO in First for the privilege!